Christmas red linen feel napkins with an embroidered snowflake design. 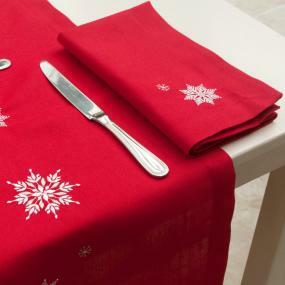 These high quality fabric napkins are made by Peggy Wilkins and are supplied in a pack of 4 napkins. 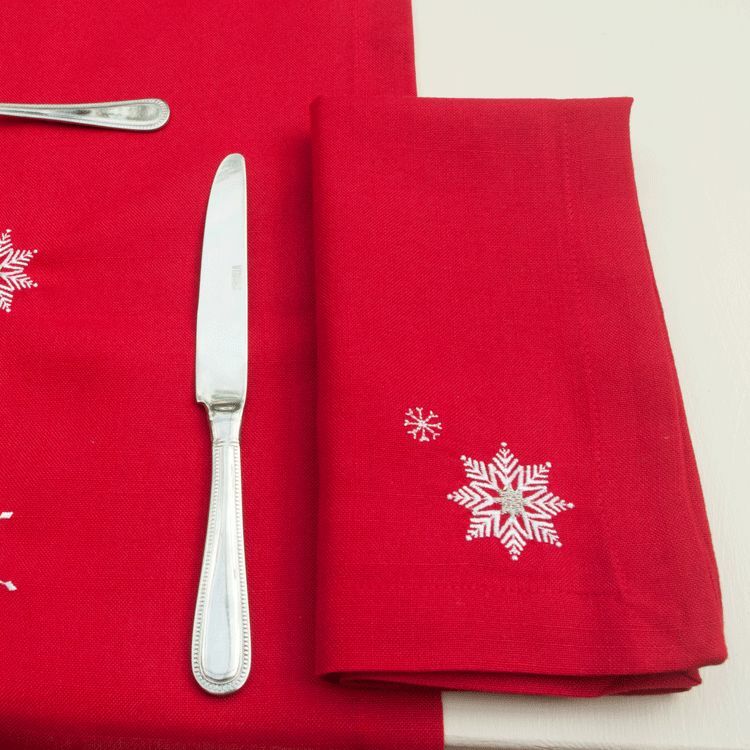 These napkins are made from 100% linen feel polyester and are machine washable at 40'C.